This year’s edition of Chinaplas attracted a record breaking number of visitors, the show’s organisers have announced. Concluding on 27 April, in total Chinaplas 2018 attracted 180,701 professionals from 150 countries, marking an increase in visitors of 16.4% compared to last year. The show was held for the first time in the National Exhibition and Convention Centre (NECC), Shanghai. The new venue allowed the organiser to increase its exhibition space, allowing more exhibitors to showcase cutting-edge solutions. From 2012, Chinaplas has faced an exhibition space storage issue and the move to the new venue is the result of two years’ worth of work. 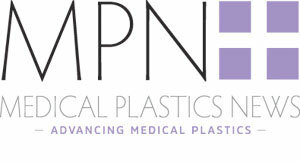 Visitors to the show were able to participate in a number of events, including the “3rd Industry 4.0 Conference”, “Tech Talk”, “Medical Plastics Connect” and “CMF Inspiration for Design x Innovation”. More so, the show saw over 120 global product launches from almost 4,000 exhibitors.